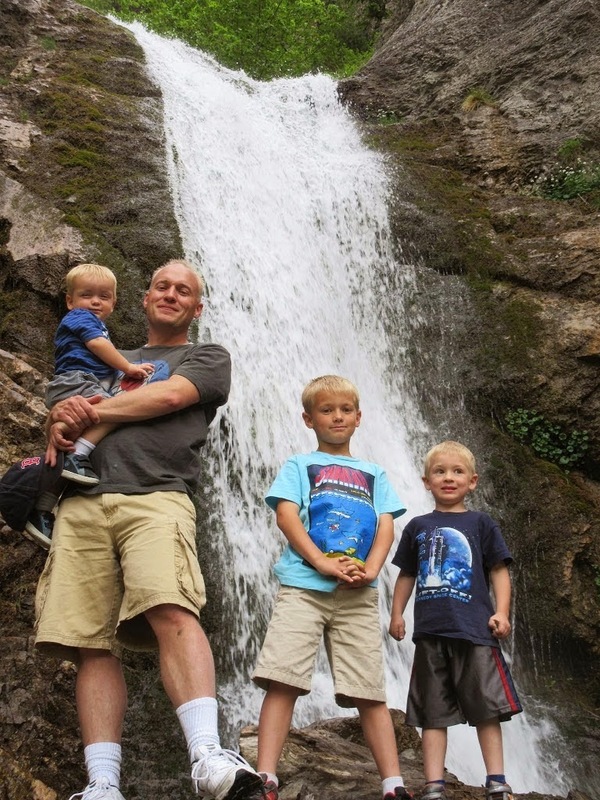 The Wasatch Front has some awesome waterfall hikes that are the perfect payoff for hikes with young children. We feature these and other hikes at Utah's Adventure Family. Use the Hikes menu to find our waterfalls, summits, nature trails, and more. Or read the brief description and click below for more info, pictures and directions: Upper Falls: Located in Provo Canyon, this waterfall is rarely visited despite being close to the Provo River Trail. The hike is only .6 miles roundtrip and the waterfall is nearly 40 feet tall (see photo above). Lisa Falls: This unique waterfall flows sideways down the cliff in Little Cottonwood Canyon. It's just a third of a mile roundtrip! Rocky Mouth Falls: This urban hike starts near the mouth of Little Cottonwood Canyon in a residential neighborhood. But .3 miles later (.6 RT) is a beautiful waterfall in a tight little alcove. Stairs Gulch: This hike is unique because it follows a series of small cascades down Big Cottonwood Canyon. You can follow these small waterfalls for several miles or make this hike as short as you want. Hidden Falls: If you're not into hiking, you can take the 2 minute walk to Hidden Falls in Big Cottonwood Canyon. We stop every time we drive and enjoy this cool cascade. Ghost Falls: This waterfall is located behind the Draper LDS Temple. There are 2 access routes, so each has a it's own distance. Hiking from the top is shorter, but hiking from the bottom is under 3 miles roundtrip. Grotto Falls: A little farther south on the Mt Nebo scenic loop you can enjoy a beautiful grotto. It's like being in a giant horseshoe with water tricking over the edge. The hike is really fun and only around a half mile roundtrip. Donut Falls: We did this hike again just last week up Big Cottonwood Canyon. The falls is huge due to heavy runoff early in the season. This well-known, well-traveled hike is about a mile and half roundtrip. Battlecreek Falls: This hike is found on the east bench of Pleasant Grove. The payoff is one of the most amazing waterfalls on this list. The falls is around 50 feet high. The hike is about 1.5 miles roundtrip. For our reviews on hikes, museums, camping, and all other adventures in Utah, come on over to Utah's Adventure Family and follow us on Twitter, Instagram, Facebook or Pinterest.